As a child, Richie Tate recalls seeing helicopters delivering hay to snowbound cattle near his South Molton home and resolving that one day he would be a helicopter pilot. 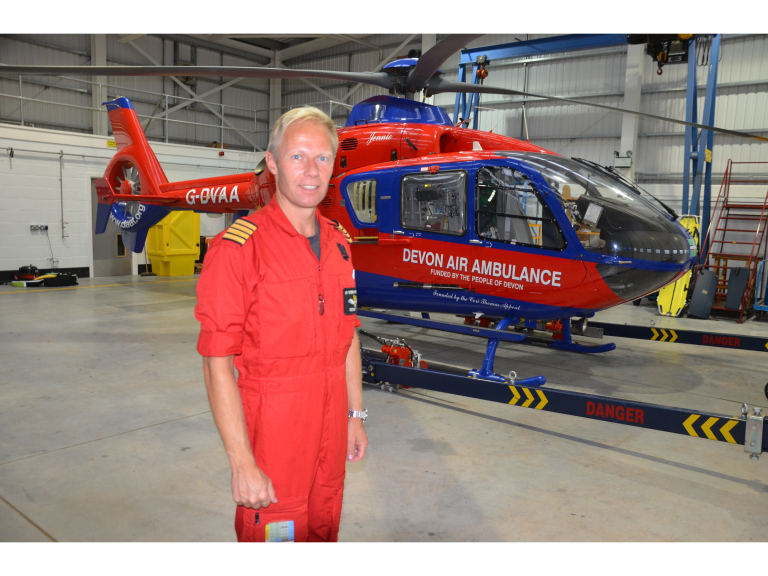 He achieved his ambition by learning to fly in a 23 year army career and has now landed his dream job as a pilot with the Devon Air Ambulance flying the Charity’s EC135 helicopter out of its Exeter International Airport airbase. The 43 year-old recounts how he always knew he would be a pilot and mapped out his career accordingly from a very young age. His ‘dream and aspiration’ to fly as an air ambulance pilot was intensified when his mother was airlifted by DAA after a heart attack in late 2013. Richie joined the Household Cavalry straight from school before transferring to the Army Air Corps where he flew Lynx and Dauphin helicopters and became involved in counter terrorism activities. He saw active service on seven tours of Iraq and two to Afghanistan. He said: “I went from horses to tanks to helicopters. In those days army helicopter training was geared to anti-tank warfare so it was useful having someone with experience of tanks on the ground, flying against them. After army service, Richie flew as a police pilot at Middlemoor, the airbase shared by the National Police Air Service and DAAT and “awaited on a vacancy next door”. The opportunity finally arose with the retirement of long-standing DAAT pilot Rob Mackie and after a stringent interview, his dream had come true. Richie Tate added: “The job comes with many challenges. You don’t know what to expect but have to respond. Every day is a school day with something new to learn. The DAA aircrew are a fantastic team and I’m learning my part in it not just as the driver but as the paramedics’ eyes and ears on the ground. I also need to know what the equipment they are using is and does in order to act as an additional pair of hands fetching and carrying at the scene of a mission. 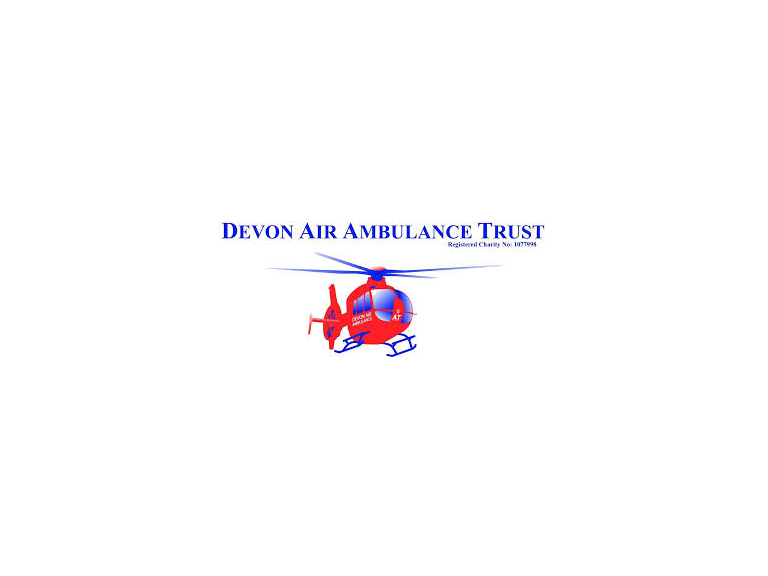 Devon is where I grew up and it’s an amazing place with every challenging scenario and difficult places to land, from coastal and clifftop to moorland and farmland – it’s even got a range of micro-climates to contend with. Richie Tate lives in Plymtree near Cullompton with his wife Caroline and six year-old son, Arthur.